Are you looking for a new mobile game to play this weekend? If so, there are lots of new games available for you to try, including Mr. Robot: 1.51exfiltratiOn from Telltale Games. The game is based on the Mr. Robot television series, and it allows users to interact with characters through a fictional messaging app. Next, Disney launched Zootopia Crime Files: Hidden Object. The hidden object game allows players to help Judy Hopps and Nick Wilde solve cases by completing hidden object scenes, talking to suspects and more. Elsewhere, Square Enix Montreal released Deus Ex GO this week. The turn-based puzzle game allows players to complete levels by moving protagonist Adam Jensen between nodes in the environment. Finally, Fifth Journey released Kubo: A Samurai Quest. The match-three puzzle game is based on the film Kubo and the Two Strings, and it includes both regular match-three levels and match-three battle levels. 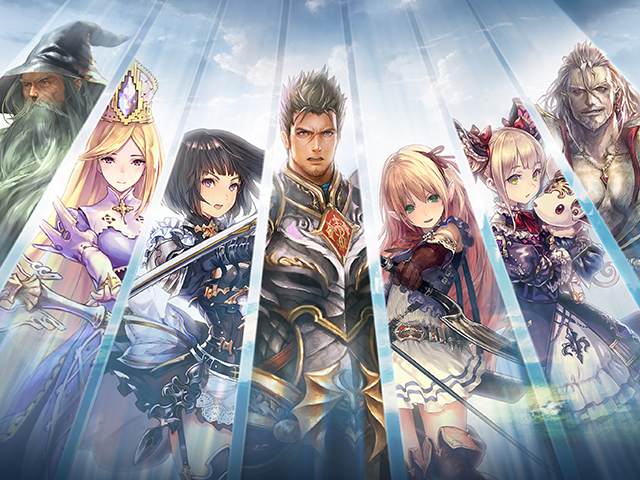 Shadowverse (Free on iOS, Android) – This collectible card game from Cygames includes seven “interweaving” campaign storylines, and it allows users to collect more than 400 cards for their decks. During each turn-based battle, players can spend a limited number of points on each turn to deploy cards to the battlefield. Players have access to follower cards that can attack enemies, as well as cards containing spells and other abilities. Users also have a limited number of evolution points to spend in each battle. These evolution points can be used to evolve follower cards to increase their health and attack stats for that battle. In addition to competing in single-player battles, users can challenge other players in real-time multiplayer battles. George of the Jungle: Owie Owie (Free on iOS, Android) – This climbing game from Moonray Studios asks players to help George of the Jungle climb high into the trees while avoiding bugs and other obstacles. In each game, players can drag their fingers on the screen to aim, and let go to shoot George from one platform to the next. Users can collect friendly light bugs as they play, which can be spent on power-ups and new gameplay environments, like the waterfall. Freaktown Defenders ($1.99 on iPad, Android tablets) – From Moonray Studios, this tower defense game is based on the Canadian animated series Freaktown. In the game, players are challenged to defend buildings around Freaktown from Princess Boo Boo and her army of Sweets. Princess Boo Boo wants to make Freaktown’s buildings “sweet,” so users must rapidly tap, or tap and hold, on their defending characters to attack the Sweets (tapping and holding charges a defender’s attack). Levels end when players defeat all of the Sweets, or when the Sweets have taken over a set amount of the current building. Endless Rush (Free on iOS) – This endless “runner” from Neoglyphic Entertainment asks players to help a creature named Ziggy collect and deliver packages as he flies through the forest. In each game, users can drag their fingers around the screen to help Ziggy collect and deliver packages, as well as avoid obstacles. Gamers can also collect nectar while playing, which can be spent on upgrades for Ziggy. Endless Rush connects to Neoglyphic Entertainment’s reading app Sunborn Rising: Beneath the Fall. By playing Endless Rush, users can earn digital currency that unlocks “deeper story elements” in the reading app. In addition, users can engage with the reading app to unlock content in Endless Rush. Pandora’s Books (Free on iOS) – This word game from Smithsoft challenges players to save towns from monsters by unscrambling words taken from quotes from classic books. In each stage, players can unscramble one word at a time by swiping to rearrange scrambled letter tiles. As players unscramble words, they’ll attack enemies at the top of the screen. Players can use hints if they need help unscrambling words. Pandora’s Books includes 80 levels to complete, with 20 levels being available for each of the game’s four books: The War of the Worlds, Wuthering Heights, The Hound of the Baskervilles and At the Mountains of Madness.